Editor’s Note: After the unfortunate passing of team leader Kevin Blain, the team was asked by the California Real Estate Commission to rename the group. Re-emerging under a new brand, The Dani Blain Team, we join Dani in wishing the team success in re-establishing the brand. Here, we discuss her plan for getting the word out that this team is moving forward, and the strategies involved to keep the momentum and culture preserved with the new name. What are the specific fundamentals that the team was built on that will endure under the new brand? Our vision statement is that our people come first. Our company culture offers team members the opportunity to succeed, grow and enrich their lives, and we expect our agents to have an excellent reputation of integrity and unity. We also focus on giving back to the community by hosting events to bring the members of our community in. You seem to retain most of your team members through good times and bad. In your opinion, what holds the team together? Our culture is one that can’t be matched. We’re more like family than business partners. We know that teamwork makes the dream work, and we believe in team-building and helping one another reach their goals. We share a faith in God, which we believe ultimately holds us together. You clearly have a strong momentum going, as you went from 400 annual transactions five years ago to what’s trending to be 1,500 this year. What was the catalyst of change that caused the spike in business? We started an Inside Sales Associates (ISA) team and increased our support staff members so that our agents are freed up to do more sales. We also increased our marketing dollars. We have a contact management platform that we use to track all of our leads. 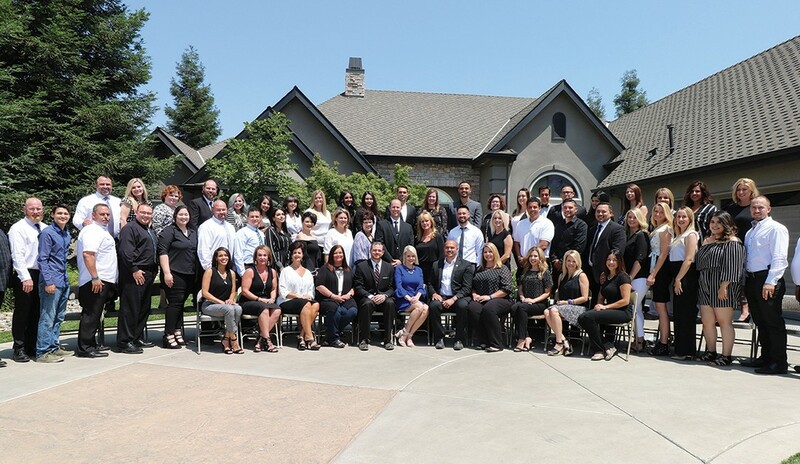 Our team also offers a client care program, listing team, transaction coordinating team, photographer, ISA, sign guy and a short sale specialist. In addition, we provide 4DX training, weekly team huddles, weekly team training and a monthly sales meeting to celebrate our agent's and support staff's success. Are your agents on their own when it comes to finding customers, or do you provide opportunities, as well? We provide opportunities through our inside sales team and encourage our agents to work on their own sphere of influence. We began purchasing online leads along with radio and theater ads. Realtor.com® has been a major part of our business; we get a significantly better ROI and conversion rate with them than we’ve had with other sources. Can you describe what the consumer experience is like when dealing with your team vs. a single agent? A lot of our customers come through our inside sales team. They build a relationship with the client and are then able to move that client over to whichever agent is best to close the escrow. Our clients work with an agent, a transaction coordinator and a listing team if they’re the seller. We make it a real team-involved event. What does success look like going forward? What would be the best possible outcome for you and your team? We would like to remain No. 1 in California and No. 1 in the nation for Keller Williams, as well as expand our team into other locations. If you were starting a new team, what are three or four things you would make sure to do to get your team off the ground? I would hire a transaction coordinator and at least one ISA, and increase marketing dollars. And, most importantly, hire people with great culture.